The wedding of Prince Harry and Meghan Markle is sure to bring about some royal wedding fever! Looking for inspiration? 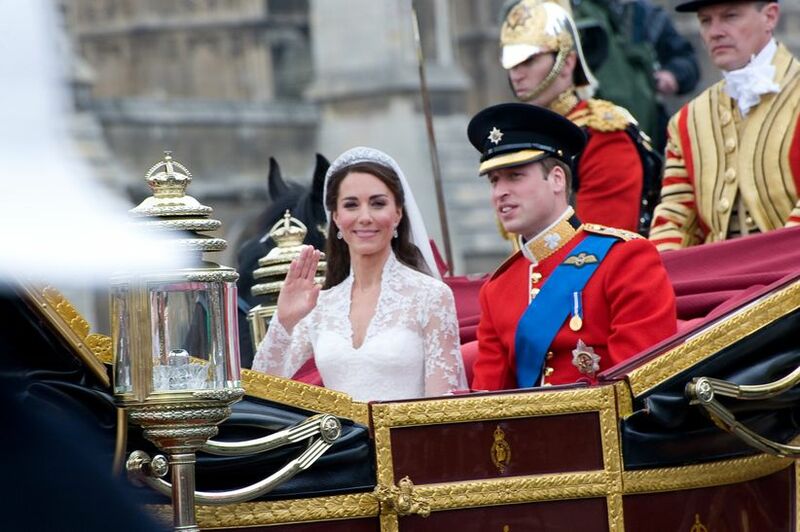 Here are some royal wedding traditions and etiquette to weave into your own big day. Here’s a look at some royal wedding traditions you may want to incorporate into your own big day. Most royal brides will wear a tiara on their wedding day. Tiaras may be from the bride’s family — Lady Diana Spencer wore the Spencer Tiara when she wed Prince Charles in 1981 — or may be borrowed from the groom’s family. Kate Middleton wore the Cartier Halo Tiara from the Queen’s collection at her wedding to Prince William in 2011. For brides who want that princess-worthy look, tiaras or other sparkly hair accesories are readily available at most bridal salons. As royal newlyweds leave the wedding ceremony they take a ride to the reception in a horse-drawn carriage. The British royal family rides in the State Landau, a 1902 gilded open carriage. In case of rain, a Glass Coach would be used instead. Couples who want a similar fairy-tale look and feel may opt to rent a horse and carriage for their own wedding. The bride and her father may decide to arrive at the wedding in the carriage, as Princess Diana did with her father, Earl Spencer, or arrive in a car or limo, as Kate Middleton did with her dad. After the ceremony the newlyweds can lead the ride to the reception site or make their getaway in a carriage. This rather new royal wedding tradition was actually inspired by American weddings. British weddings are customarily held in the morning followed by a wedding breakfast, which is more like a brunch or luncheon. Modern royal couples have kept the wedding breakfast alive but added an evening affair to the wedding plans. At an evening reception, a couple and their guests can change their looks to something more festive. In 2011, Kate Middleton switched from her modest, long-sleeved Sarah Burton for Alexander McQueen wedding dress into a sweetheart wedding dress with A-line skirt and diamante detailing at the waist, also designed by Burton. Prince William changed from his military uniform into a classic black tuxedo. 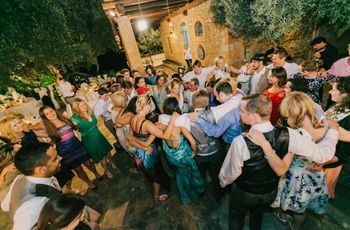 A second reception allows couples to spend more time with their guests at a dinner party setting, and then on the dance floor. The second reception can be more intimate than a daytime affair too. 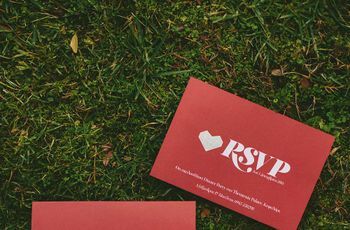 A couple may decide that the evening reception can be limited to their closest family and friends. 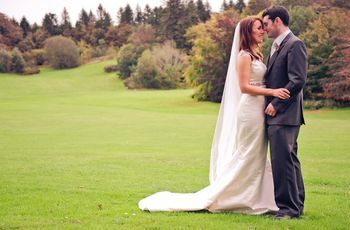 A couple may want to follow the royal wedding tradition of a daytime ceremony and take advantage of the daylight hours after the vows to take wedding portraits in the sunlight, as well as the cost savings. A daytime wedding tends to cost less because it’s less formal, the décor doesn’t have to be as elaborate, natural light reduces the need for bringing in lights, and menus can be less expensive too. The wedding cake is a centuries-old tradition, and bakers go all out when it comes to designing a royal wedding cake. For couples who want a wedding cake that would look appropriate at a royal reception, they can easily find inspiration from cakes with sky-high tiers in white or ivory. Each tier can be adorned with a variety of images, including a family’s coat of arms, as Princess Diana and Prince Charles’ 5’ wedding cake was, or sugar flowers and the couple’s monogram as the Duke and Duchess of Cambridge’s 8-tiered cake did. It’s a British tradition to have children in the wedding party as flower girls or “baby bridesmaids” and pageboys. 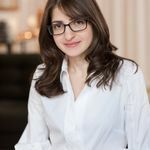 The children are made up of the couple’s nieces and nephews, godchildren, cousins, children of close friends or their own kids, and can be as young as two and as old as 17. While planning their wedding, Prince Harry and Meghan Markle will surely ask Princess Charlotte and Prince George, his niece and nephew, to be part of their bridal party. Ever since Queen Victoria carried myrtle in her bridal bouquet every royal bride has included it in her own. The Victorians gave flowers meaning, and myrtle means good luck in love and marriage, marital fidelity and prosperity. When designing a wedding bouquet, couples should speak with their florist about the meaning behind the flowers in theirs and make a statement about love and marriage in the blooms they choose to carry. Royal brides and grooms say their “I do’s” in ornate churches, such as Westminster Abbey (Queen Elizabeth and Prince Philip, Prince William and Kate Middleton) and St. Paul’s Cathedral (Prince Charles and Lady Diana Spencer), and then celebrate their reception at a palace or castle. Couples can find a decorative church or house of worship to recite their vows and then take a horse and carriage to their reception at a venue that resembles or actually is a castle or opulent space with elaborate decorations. A royal train makes a huge visual statement, and royal brides consistently wear grand wedding dresses. The train on Princess Diana’s wedding dress was over 20’ long, Kate Middleton’s almost 9-feet. Brides can further their royal style by adding a personalized adornment to their gown’s train as Sarah Ferguson did at her 1986 wedding to Prince Andrew. She has her family crest embroidered on the train of her wedding dress, which was only a few feet shorter than Diana’s. 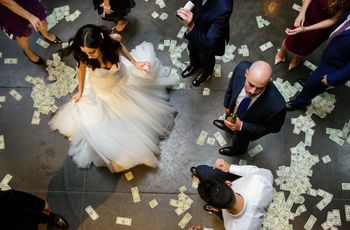 Brides should let the sales associate at their bridal salon know that they’re looking for a gown with a royal train, and ask the seamstress working on alterations if there’s room to add a monogram, family crest or other important symbol to it.